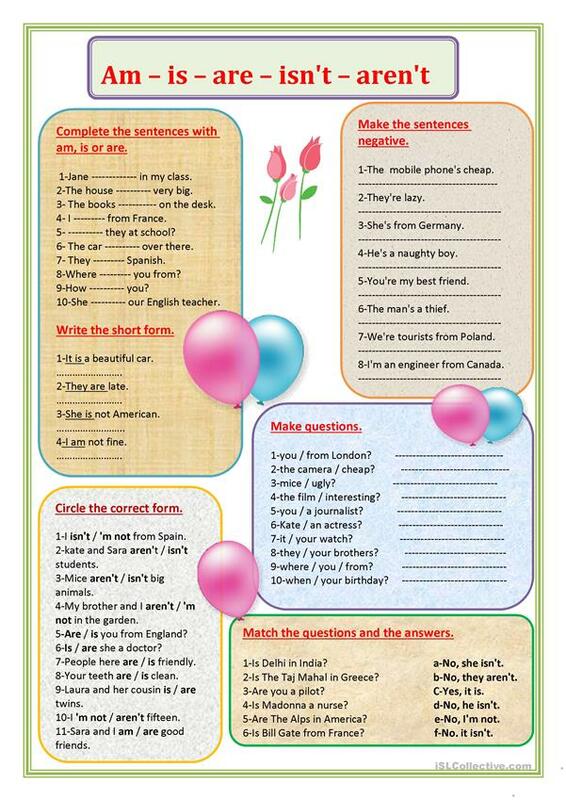 Very simple exercises to practice verb to be. This printable, downloadable handout is meant for high school students and elementary school students at Elementary (A1), Pre-intermediate (A2) and Intermediate (B1) level. It is a useful material for consolidating BE (auxiliary verb) in English.